Home to one of Cornwall's biggest and most popular beaches, the seaside town of Perranporth acts as a gateway to a whole world of surfing, sunning and seaside walking on the North Coast of Cornwall. 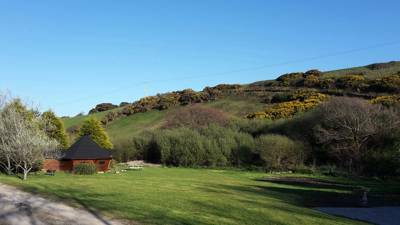 Surrounded by the countryside that inspired the Poldark series, Perranporth is an excellent location for camping too, with loads of fantastic Perranporth campsites within easy reach of town. 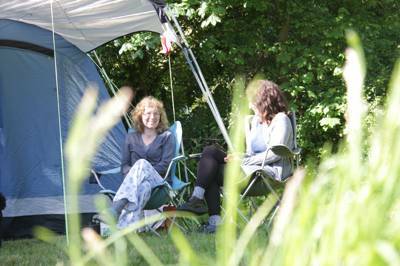 So grab the surfboard, pack the tent and load the car... it's time to book your next Cornish camping adventure! 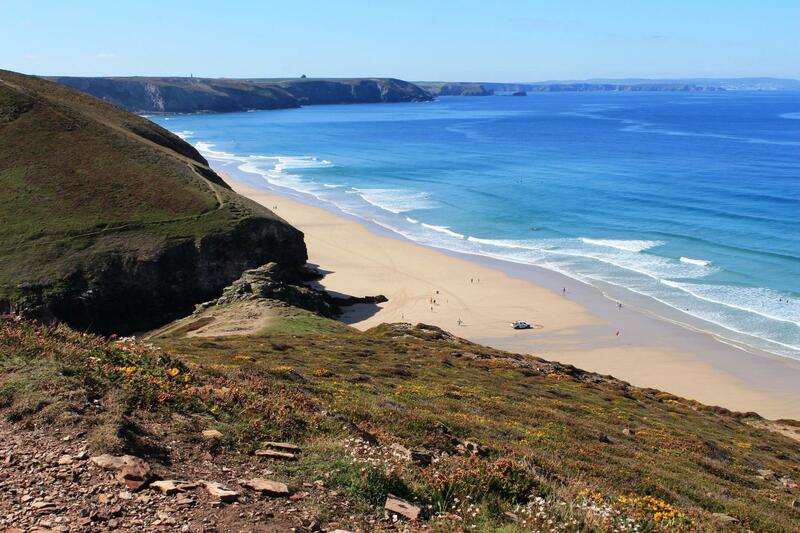 Surfing, sunseeking or sightseeing… whatever you’re heading to Cornwall for, Perranporth is well worth considering as a base for a camping or glamping holiday on the North Cornish Coast. Situated south of Newquay and north of St Ives, Perranporth is slap bang in the middle of the action – perfectly located for discovering Cornwall’s many treasures. But you may just be content with the salty water and sand of Perranporth’s stunning three miles of beach; a place where you can surf, swim and build sandcastles to your heart’s content. 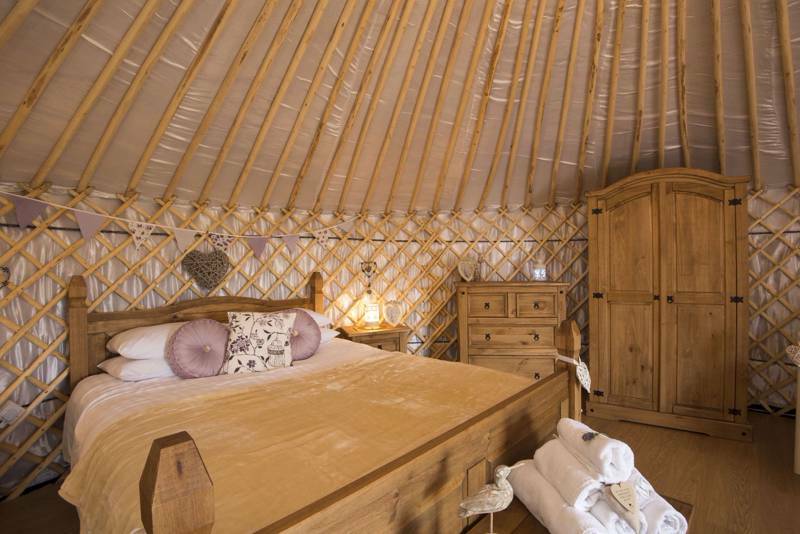 There are plenty of camping and glamping sites in Perranporth and the surrounding area but our camping connoisseurs have selected only the best to feature in the Cool Camping collection. 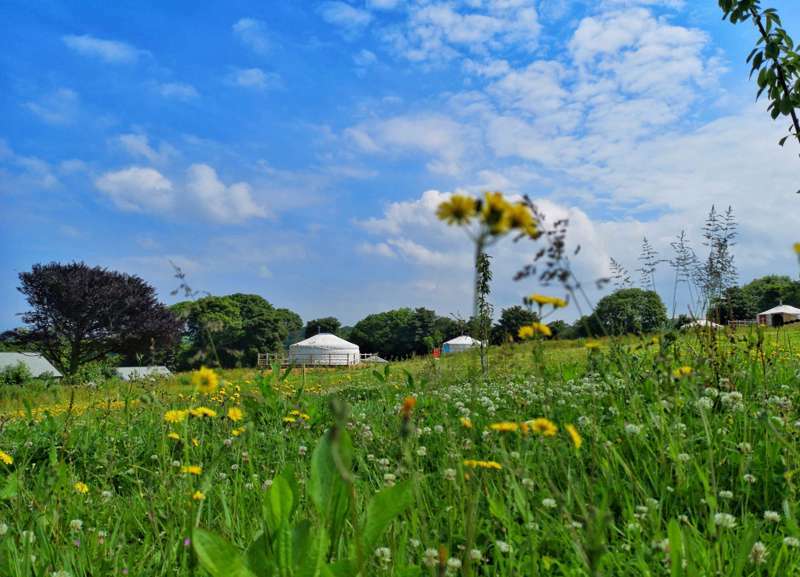 Whether you want a place to pitch your tent, park up your campervan or bed down in a luxurious glamping pad, our selection of Perranporth campsites should have it covered. It’s an easy amble to the beach at Perranporth making it as suitable for families with kids as for early-rising surf dudes. And if you’re heading to Cornwall to learn some board skills for the first time, there are plenty of seasoned surfers to help you out at the town’s surf schools. Chapel Rock in the middle of the beach has a small tidal pool and if you wander north you reach the quieter dunes of Penhale Sands, where you can look out for rare insects and lizards. There are plenty of eateries and beachside watering holes within Perranporth town and you can hire a rowing boat on the lake within the promenade gardens too. To learn about the history of the area make a visit to the Perranzabuloe Museum. Beyond the town’s boundaries to the east you can visit Perran Round, a Cornish medieval amphitheatre, and to the south west are the dramatically-situated remains of the Wheal Coates Tin Mine. You can reach it on a 3.6-mile walk to St Agnes, a picturesque fishing village, along the South West Coast Path, if you’re so inclined. Head in the other direction along the coast and Newquay’s famous beaches and attractions, from its family-friendly attractions to its lively nightlife, are a 20-minute drive away. For more ideas on things to do while camping in Perranporth, visit the town’s tourist information centre or check out their website. 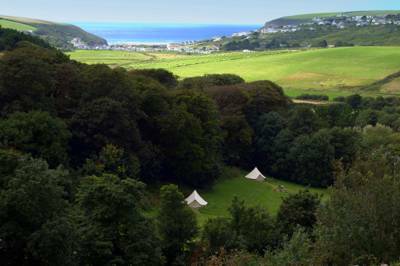 Perranporth Camping Campsites Glamping Coast Cornwall Seaside at Perranporth Camping, The gateway to one of Cornwall's best beaches, Perranporth is the perfect destination for any camping holiday beside the sea. So grab the surfboard, pack the tent and load the car... it's time to book your next Cornish camping adventure!